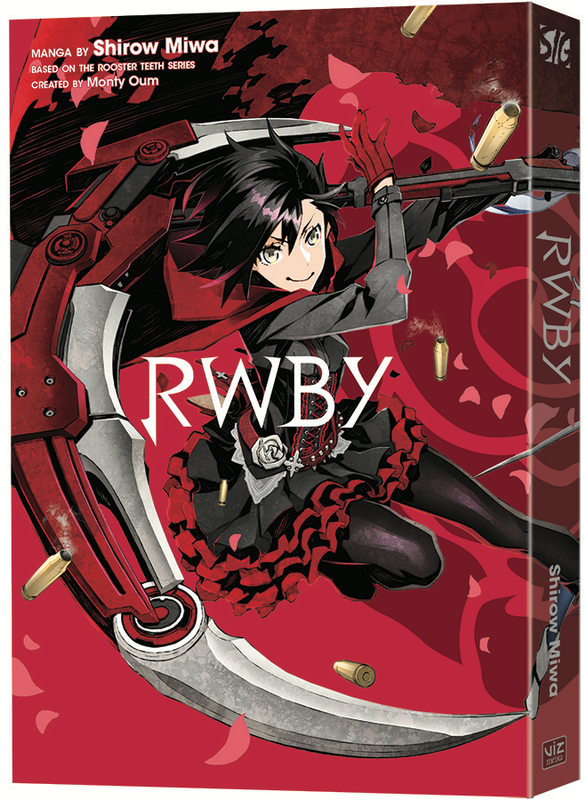 VIZ Media, LLC (VIZ Media), a premier company in the fields of publishing, animation distribution, and global entertainment licensing, adds action and adventure to its publishing catalog with the release of RWBY on January 16th. Creator Shirow Miwa debuted in UltraJump magazine in 1999 with the short series Black Mind. His next series, DOGS, published in the magazine from 2000 to 2001, instantly became a popular success and is also published in English by VIZ Media. He returned in 2005 with Dogs: Bullets & Carnage, which is currently running in UltraJump. Miwa has also created illustrations for books, music videos and magazines, and produces doujinshi (independent comics) under the circle name m.m.m.WORKS. His website is mmm-gee.net.